DUE TO THIS CHANGE, A NEW BLOCK OF TICKETS WILL BE RELEASED FOR SALE TO THE PARENTS AND TO THE PUBLIC. TICKETS CAN BE PURCHASED AT THE SCHOOL UNTIL 2 PM THE DAY OF THE SHOW. 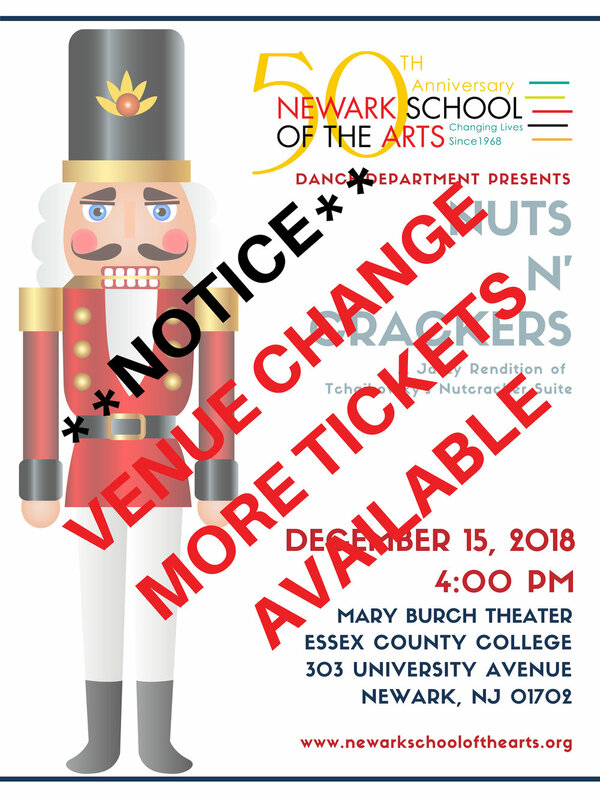 TICKETS WILL BE SOLD AT THE DOOR AT THE MARY BURCH THEATER STARTING AT 3:00 PM SATURDAY DECEMBER 15, 2018. PLEASE NOTE THAT TICKET PRICES ARE HIGHER AT THE DOOR. PURCHASE YOUR TICKETS EARLY TO AVOID PAYING MORE. DEBIDO A ESTE CAMBIO, UN NUEVO BLOQUE DE ENTRADAS SERÁ ENTREGADO PARA LA VENTA A LOS PADRES Y AL PÚBLICO. LOS BILLETES SE PUEDEN COMPRAR EN LA ESCUELA HASTA LAS 2 PM EL DÍA DEL SHOW. LOS BILLETES SE VENDRÁN EN LA PUERTA DEL TEATRO MARY BURCH QUE EMPEZARÁ A LAS 3:00 PM DEL SÁBADO 15 DE DICIEMBRE DE 2018. TENGA EN CUENTA QUE LOS PRECIOS DE TICKE SON MAYORES EN LA PUERTA. COMPRE SUS ENTRADAS TEMPRANO PARA EVITAR PAGAR MÁS.